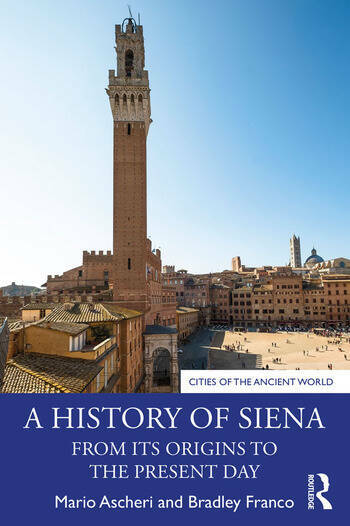 A History of Siena provides a concise and up-to-date biography of the city, from its medieval development through to the present day, and makes Siena’s history, culture and traditions accessible to anyone studying or visiting the city. Well-informed by archival research and recent scholarship on medieval Siena and the Italian city-states, this book places Siena’s development in its larger context, both temporally and geographically. In the process, this book offers new interpretations of Siena’s artistic, political, and economic development, highlighting in particular the role of pilgrimage, banking, and class conflict. The second half of the book provides an important analysis of the historical development of Siena’s nobility, its unique system of neighborhood associations (contrade) and the race of the Palio, as well as a thorough overview of the rise and fall of Siena’s troubled bank, the Monte dei Paschi. This book is accessible to undergraduates and tourists, while also offering plenty of new insights for graduate students and scholars of all periods of Sienese history. French Lights and Shadows: Viva Maria! Mario Ascheri, former professor at the University of Rome 3, Italy, has written extensively on institutions, law, and justice in the Middles Ages and on Italian supreme courts in Early modern history. He is a former member of the Max-Planck-Institut for legal history in Frankfurt am Main, Germany, and is Senior fellow of the Robbins Collection Library (Law School, University of California, Berkeley, USA), and doctor h.c. of the Université de l'Auvergne (Clermont-Ferrand), Francce. Author and editor of hundreds of books and articles on Siena, Dr. Ascheri was awarded the prestigious Sienese award, the Mangia d'oro in 2003. Bradley Franco is Associate Professor of Ancient and Medieval History at the University of Portland, USA, and is the author of numerous publications focusing on religion, community, family, and power in late medieval Siena. He has also published extensively on Franciscan studies and organized the first ever International Conference for Franciscan Studies in Siena in 2015. Along with Dr. Ascheri, Dr. Franco is a proud member of the contrada of Onda.